Converse all you want in your tongue with the 21 pre-loaded languages on your Micromax Unite 2. Get the added convenience of typing in your own language and see your words change your world. Express your words in beautiful language fonts, supported by a personalized predictive typing interface with Reverie Smartpad. Save your contacts in your language with the Reverie Phonebook. Get paid to be mad about Ads. 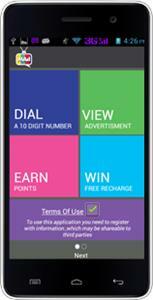 Simply make a call, watch an Ad and get money added to your phone's balance. This works in both Pre-paid and Post-paid connections and across all operators. Forget scrolling through call logs and contact lists to find your priority numbers. On the Micromax Unite 2, you have a smarter contact list that prioritizes numbers based on who you call the most. Tap on the Google bar and launch voice searches from the home screen by saying “Okay Google”. Carry your documents wherever you go, with integrated Google Docs and Google Drive account features. Never miss a message with the pre-loaded hangouts app which stores all of your SMS and MMS messages alongside your other conversations and video calls. Get set for a more intuitive experience. Zip through your applications and power your virtual world with the 1.3GHz Quad core processor and 1GB RAM. Experience flawless app performance and multitask with ease with the Mali-400 MP2 GPU of the Micromax Unite 2. 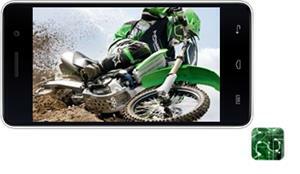 With 5MP auto focus rear camera, capture precious moments that matter to you in vivid detail. Click all your moods and varied expressions with the 2MP fixed focus front camera and share them with your friends.Beautify your clicks with the Face Beauty Mode and capture both videos and images simultaneously with the Live Photo Mode. Optimize light in your pictures with the HDR mode and shoot Panorama shots from bottom to top and left to right with the Vertical and Horizontal Panorama features. Music, videos, images, files and more. Now store all your files on its expandable memory up to 32 GB and carry all your entertainment with you. Never spend a dull moment again with all your entertainment in your Micromax Unite 2. Connect to your world, anytime anywhere with the endless connectivity options on the Micromax Unite 2. Surf the web faster on your 3G or use Wi-Fi to speed things up. Share files seamlessly with your friends and family through Bluetooth and USB support. Enjoy Kingsoft, Getit, Opera Mini, M Live, Hike and many more pre-loaded apps on your Micromax Unite 2. Find games you love on M Games and Games Club. Explore the web through opera and work on-the-go with Kingsoft Office. Chat endlessly with your friends via Hike. Look up the nearest restaurants, hotels, coffee shops, ATMs, malls and movie theaters in your own locality, and get free fresh and hot deals across 65 cities of India conveniently with Getit. 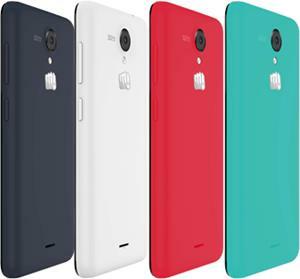 Make a powerful style statement with the distinct colors available in Micromax Unite 2. Get ready to be spoilt for choice between pristine white, balmy green, mystic grey and raging red. 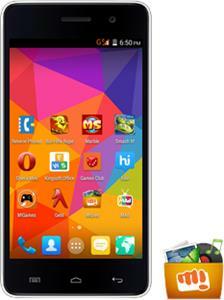 The Micromax Unite 2 A106 is a phone that has been designed with a speedy processor and healthy storage capacity. Featuring the 1.3GHz MT6582M quad core processor, this phone provides you impressive speeds, making sure you enjoy your favorite apps, videos and games in the quality that they should be. Moreover, its 1GB RAM aids the processor and makes sure that you can run multiple apps at once without slowing down. 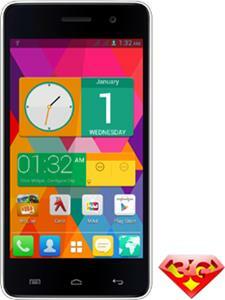 You won't see the Micromax Unite 2 A106 mobile phone hang or freeze while you are watching videos or playing games. In order to give you a superlative experience with your videos, apps and games, the Micromax dual SIM phone has a 4.7-inch IPS capacitive touchscreen display which makes playing games and watching high definition videos a unique experience. 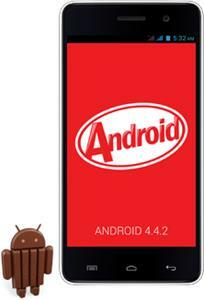 The Android v4.4.2 KitKat interface keeps this quad core mobile running seamlessly. KitKat features a smart contact list while automatically prioritizes numbers based on the ones you call the most. This phone is also pre-loaded with 21 languages to let you chat, type, or even save contacts in your mother tongue. 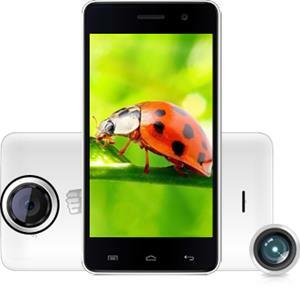 To help you preserve your favorite moments, the Micromax Unite 2 A106 Grey includes a 5MP camera. Along with amazing quality images, this camera also allows you to film videos in 720p HD quality. You can easily optimize and improve light in your photos with High Dynamic Range imaging technology. There is also a 2MP fixed focus camera to let you video chat. To keep this mobile running for a long time, the Micromax Android mobile phone features a 2000mAh Li-Ion battery which gives you 8 hours of talk time and up to 190 hours of standby.